Gbreeze is currently out on Kickstarter and they have been nice enough to send us an engineering sample of the Gbreeze. 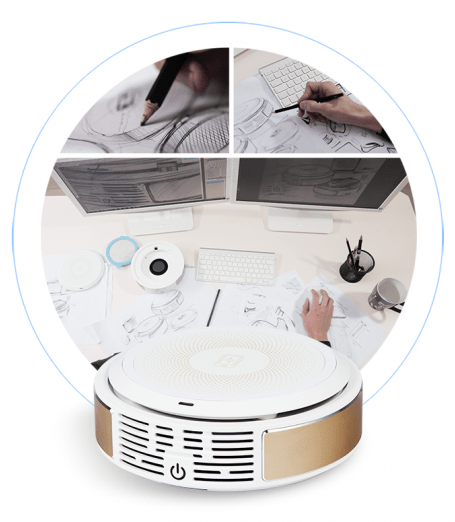 The Gbreeze is a compact air purifier made to be used in small places such as inside a car or on a desk in your office. 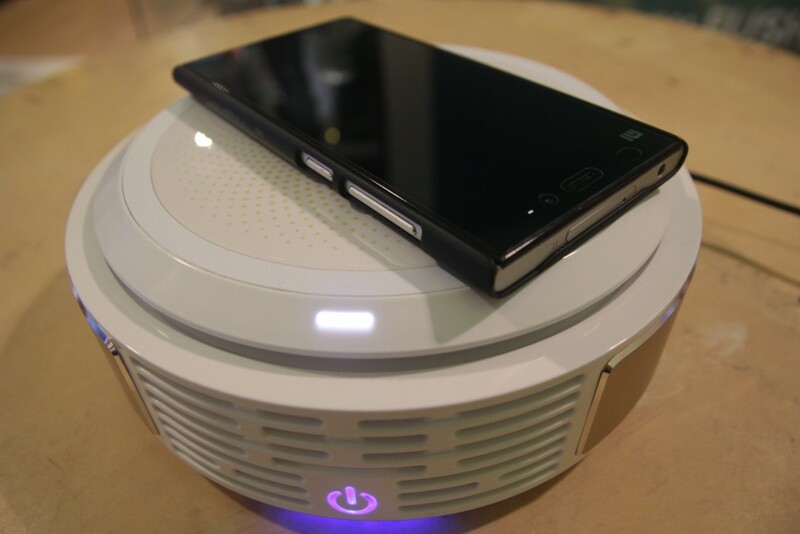 On top of the air purifier is a wireless charging pad that is almost as big as my hand. The Gbreeze has many features under its belt so let’s get right to it. Firstly, let’s check out what came in the package they’ve sent us. Starting from the left there is the in-car mount holder, wall plug adapter, car adapter, an anti-skid mat, and the Gbreeze air purifier and wireless charger at the top. There were also screws that came along for the in-car mount holder which was not photographed. As you can see, there are a lot of things going on in here and so let’s head straight to the features and take a look at what the Gbreeze has to offer. 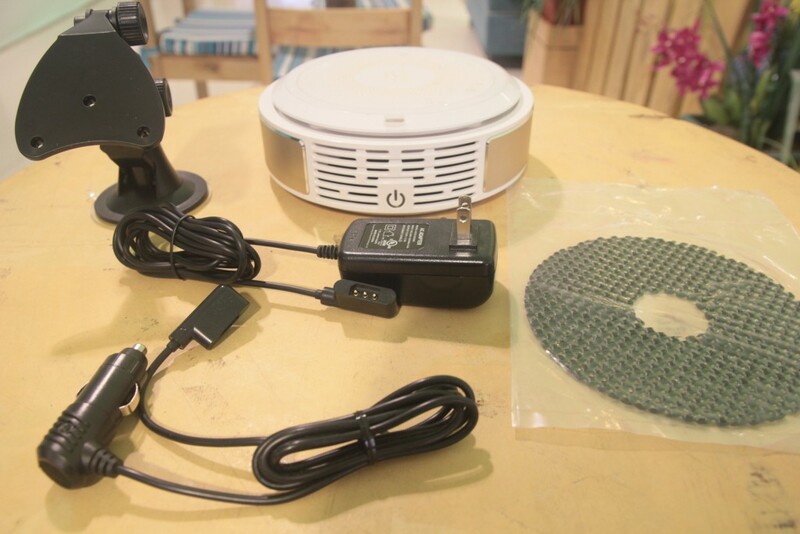 Up top of the Gbreeze is a 3 coil wireless charging pad, and it works very well during our testing. Nowhere on the pad could we place our phone and see it not charging. The 3 coil transmitter covers the surface perfectly without needing proper alignment. The anti-skid mat also worked well to keep our phone on the surface when it’s used inside a car. There is also a notification light at the front which glows white when a wireless charging device is detected. Everything about the Gbreeze is absolutely convenient. The wireless charging pad is held on by 4 magnets which also connects it to the purifier for power, it literally just snaps itself in place! It then lights up a few times to indicate that it has been properly placed. Speaking of magnets, the plug to power the Gbreeze is also magnetic and snaps right in. It is not reversible though and has to be placed at the right side. You can only get it wrong once though so it’s not too bad. 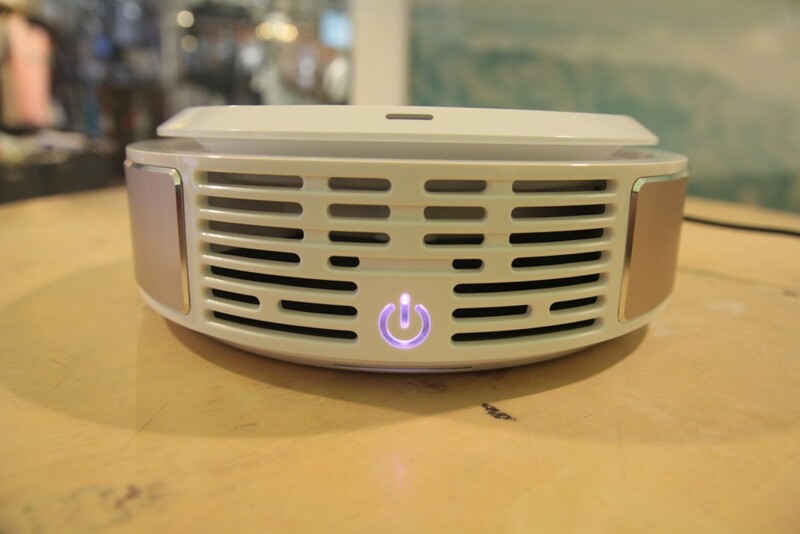 The main feature of the Gbreeze is its air purifying capabilities, so that’s where we will focus on. At the front of the Gbreeze lies their touch sensitive power button which lights up as blue, sky blue, or pink which indicates if it is on high, middle, or low speed mode respectively. It will give a red light if it is turned off. There is another light indicator right under the power button which indicates the air quality it’s getting. The light will change to blue, green, and red which indicates clean, fair, and dirty air respectively. When placed on middle speed mode, which is the default speed, the air purifier will adjust its speed relative to the air quality of the place. If the air is deemed clean, it will run slower, and if it’s dirty then it will run faster. The Gbreeze also has sound indicators which gives a somewhat techno beep when switching modes and “do re mi fa” beeps when turned on and vice versa when turned off. Let’s get inside the Gbreeze and see how it purifies air. 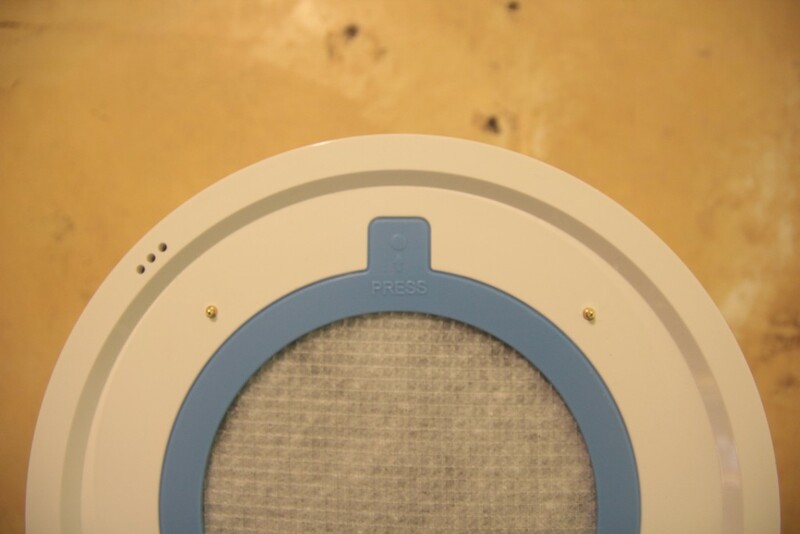 The first part of the purification is for the air to get sucked through the top of the Gbreeze which will make it travel through a filter. The filter itself is already a work of art. 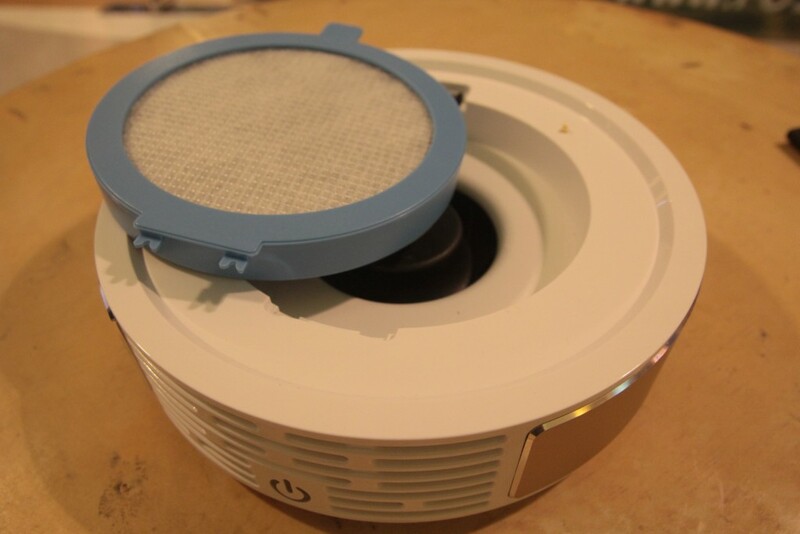 It is a HEPA & HESA compound filter which doesn’t only block out the things we can see, such as dirt and hair, but also pollen, bacteria, and even odor. All these filters are securely placed inside a blue plastic housing. You can press on the filter to take it out of the Gbreeze if it needs changing. The fan automatically turns off once you remove the filter to avoid your fingers from getting hurt by touching the fan. I have noticed though that even when it is off, it still spins at a fast rate and slowly starts to slow down, rather than stopping right away. The in-car mount holder works pretty well and stays put despite the rough driving. It does warn you not to make the Gbreeze hang in the air as it might cause your windshield to break. 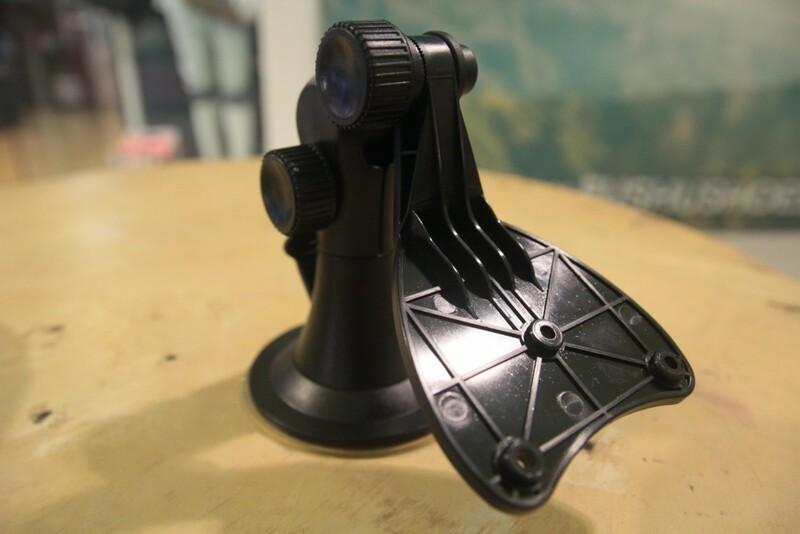 Only use it on the dashboard and the in-car mount holder to keep it in place. 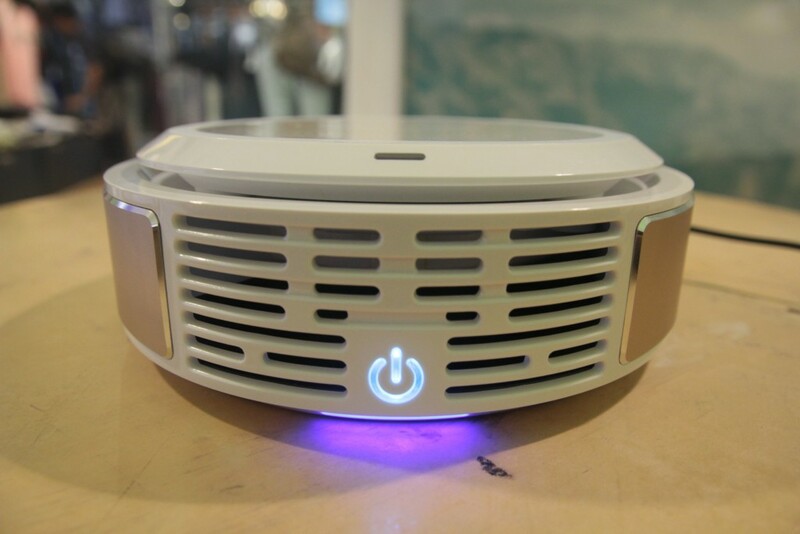 The Gbreeze is a great air purifier, and a perfect wireless charger. It is convenient to use and is very easy to figure out. They have thought of all the problems that could go wrong and gave answers to them before the problems even appear. The wireless charger works great and without any fuss with misalignment. If you are looking for a wireless charger in a place with polluted air or a place with lots of pets, the Gbreeze is a perfect product for you. Support them here on Kickstarter and pledge $149 for your own Gbreeze and one extra filter! There’s only 6 days left for them to reach their goal, so hurry up and give them a pledge! If you want to learn more about the Gbreeze, read around there as well for the technical specifications. I purchased a QI wireless charger modle WSI for Samsung S6 but there are no instructions on how to charge my phone just a 3 page little piece of paper that is full of don’t do this.Do have a more complete instructions manual?